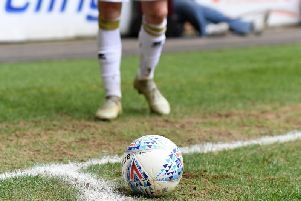 Paul Tisdale says he shares MK Dons fans' concerns after his side slumped to a fourth loss in six games, going down 1-0 to Crewe Alexandra on Saturday. After losing to Colchester, Cheltenham and Bury since December 22, Dons have fallen from second to fifth in the League 2 table, picking up just one win in six. "I'm concerned too," said Tisdale. "Whether our squad is good enough – over the last six games it hasn't been, but if we consider the season so far, it has. We have to get over this bump in the road. "It was frustrating – we've lost points here but we've got to get on to the next one. It was a different type of challenge this week, trying to get a goal back. We're all fully aware of what we have to do, we just have to do it." After losing a 3-1 lead to Bury last week, ultimately going down 4-3 at Gigg Lane, Dons this week struggled to create anything clear cut against Crewe. Chuks Aneke missed the best chance of the game for Dons when he squandered a one-on-one at 0-0, while Peter Pawlett was adjudged offside when he had the ball in the back of the net just before Charlie Kirk netted the only goal of the game. "It's a second challenge," Tisdale continued. "Last week week we had a lead, this week we had a deficit. It helps if you take your chances, it changes the game, of course, which we didn't do. We have to show a bit of resolve with how we play. We were below our best today, but we have to win those games. "I think we were trying too hard in the first half – trying to do everything so soon. We lacked patience. But as the game went on, it became a bit bitty and we lost our rhythm. There are one or two things we need to improve on. I'm clear what it is, the players are listening, and giving everything. "We've had a bad patch and we need to get out of it. I've been there before, I know what we need to do, and I'm sure we're capable of it. I believe we're good enough to do that."